Kehilat Hakerem is an egalitarian Masorti (Conservative) congregation established in 1979. Our home is the Spitzer Center, close to the center of Karmiel in the heart of the Galilee. We offer a vibrant Jewish community, comprising native Israelis together with long-time immigrants and those who have recently arrived from countries all over the world. Our community's philosophy is based on four important elements: PRAYER, STUDY, TOGETHERNESS AND OUTREACH. PRAYER: We are a fully egalitarian, highly participatory Masorti (Conservative) congregation with prayer leaders and Torah readers ranging in age from teens to the 70 pluses. STUDY: We offer year-round youth and adult educational programs with Midreshet Hakerem to examine Jewish values in both classic texts and more modern media, in an open-minded environment and open to the public at large. TOGETHERNESS: Kehilat Hakerem is not only a spiritual center prayer, but also a social network. People with diverse ethnic and socio-economic backgrounds share in each other’s joys and sorrows, helping each other in time of need. OUTREACH: We open our gates to all those searching for a Jewish community that celebrates our age-old traditions in a modern and adaptive way. The City of Karmiel is situated about 40 minutes North of Haifa. It lies in the Beit Hakerem valley, which is the dividing line between the Upper and Lower Galilee, and serves as a hub for the surrounding towns and villages. Karmiel today has a population of over 55,000, of whom about 55% are native Israeli and veteran olim and about 45% are recent immigrants, mainly from the former Soviet Union. The city is famous for hosting the International Dance Festival every year in August. Kehilat Hakerem is a center for Masorti Judaism in our city, attracting participants from Karmiel and the Misgav villages. We reach out to congregations from all over the world to partner with us. 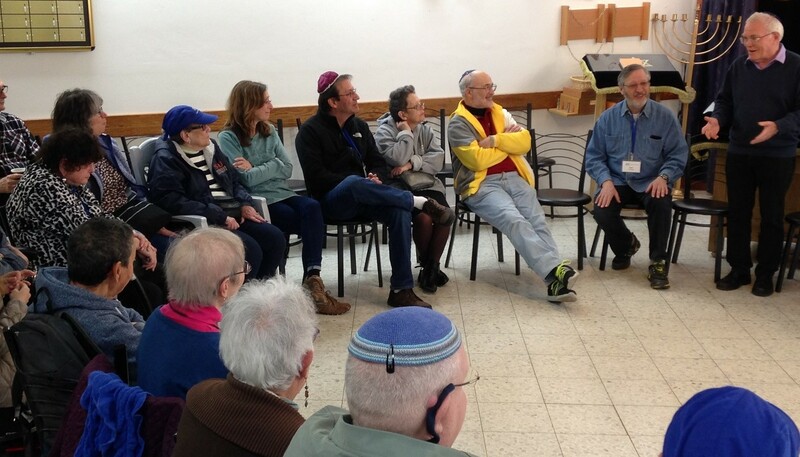 Let us be your “home synagogue” when your members visit Israel. As well as increasing your sense of Jewish identity, you will help support the growth and survival of Masorti Judaism in Israel. We welcome visiting missions, congregational tours and youth groups and invite you to meet our members and experience our unique community.